1 What is product buildup? 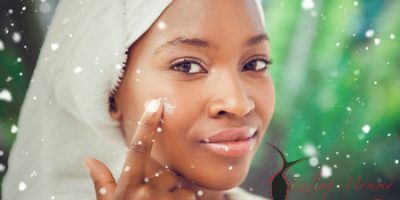 3 How do you remove product buildup? 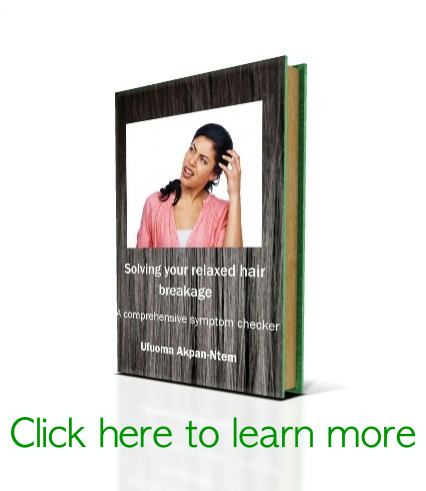 Product buildup is basically a gradual accumulation of products on the hair strands. Your hair will look flat and also feel as if it’s coated. Even when your hair has been freshly washed, it will still look dull and dirty with no shine. In addition, your hair will probably be difficult to style. What happens is that the accumulated product doesn’t allow necessary moisture, oils and other nutrients to penetrate your hair. When you have product buildup on your hair, it will remain dry until you remove the buildup. If you repeatedly have ‘bad’ wash days where your hair doesn’t come out well moisturized even after deep conditioning, your hair might be suffering from product buildup. Non-porous hair. Hair that doesn’t allow products including water to penetrate easily is described as being non-porous. If you have non-porous hair, products tend to remain on top of the hair strand and this leads to buildup. If your hair is non-porous, you should ensure that you use heat each time you deep condition to open your hair cuticles for better product penetration. Silicones: These are found in most hair products; they are very good detangling agents and coat the hair strand giving it a smooth feel and appearance. However, most silicones are water-insoluble and can only be removed by cleaning agents like Cocamidopropyl betaine, Sodium Lauryl Sulfate, etc. If you don’t use shampoos containing these agents regularly and you use silcone containing products, this can lead to product buildup. Most silicones have the suffix -cone. Examples include dimethicone, cyclomethicone, amodimethicone, etc. Examples of water-soluble silicones are Dimethicone Copolyol, Lauryl Methicone Copolyol. For a more extensive list of silicones, click HERE. Co-washing, cleansing conditioners, no-poo method. Although co-washing and using cleansing conditioners are gentle on your hair, they can lead to buildup. The surfactants in conditioners are not usually adequate to eliminate silicones. What this means is that if you’re mostly co-washing, you should avoid water-insoluble silicones because they can eventually accumulate on your hair. Cationic surfactants: These are the common conditioning agents in most conditioners. They usually occur in 2 varieties: alkyl amines and alkyl-quaternized ammonium salts. In addition to not being able to effectively remove silicones, they can also contribute to product buildup. Although “they are water soluble, the quaternary variety bind rather tightly to the hair surface and can build up, so be aware of the potential for that issue.The alkyl amines seem to have no significant drawbacks for a curly girl or guy, and many users report enjoying their effects”1. Examples of the alkyl-quartenized ammonium salts include Behentrimonium methosulfate, Cetrimonium Chloride, Stearalkonium chloride, Cetrimonium bromide, Behentrimonium chloride. Examples of the amine varieties include: Stearamidopropyl dimethylamine (lactate, citrate, propionate), Isostearamidopropyl dimethylamine, Behenamidopropyl dimethylamine. Simply read your product ingredient list and you will see of these ingredients there. How do you remove product buildup? Pureology Purify Shampoo for Color Treated Hair (this shampoo is also a chelating shampoo. It is sulfate-free but dries the heaven out of your hair). 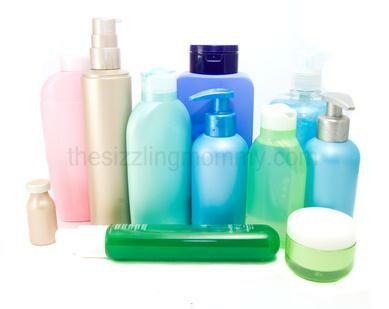 Since silicones can cause buildup, you should also watch out for them in your hair products. Melt your products in your hands before applying them to your hair. 41 Comments to What is product buildup and how can it affect your hair? since my hair was behaving in a way I didn’t quite understand (my favourite deep conditioner did not seem to be working), I mixed a teaspoon of vinegar to some shampoo i had poured into a bowl to wash my hair. I don’t know what I was expecting but my hair was so soft I was surprised. The deep conditioner worked better afterwards. Prior to that time, I had never consciously clarified my hair, though I used sulfate shampoos at least once a month. I’m glad you stumbled on clarifying cos’ it really makes a difference. Now, I use ACV at every wash and my hair always turns out soft. You don’t need to use a clarifying shampoo to remove buildup. Any shampoo that doesn’t have the ingredients you listed that can build up will remove buildup. Also, vinegar alone doesn’t remove buildup. But ALWAYS use an acidic rinse after using baking soda, because baking soda alone has a high pH and can be very harsh on your hair. I’m not sure I understand what you mean when you say that, “Any shampoo that doesn’t have the ingredients you listed that can build up will remove buildup”. Some people would argue with you that vinegar can remove buildup because it works for them. However, I do agree that doing an acidic rinse after using baking soda is a good idea because like you stated, it does have a high pH and can be harsh on hair. Clarifying shampoos are really harsh especially since when you have build up your hair is already dried out. The best way to avoid build up is to use products that wash out easily and avoid putting on too much. Then shampoo regularly with something mild rather than harsh. That is what he or she means. A regular shampoo that is not harsh can remove build up if you are applying the correct amount of product. Also dermatologists tend to recommend washing a few times a week regardless of hair texture so if you use a mild shampoo more regularly you should be able to prevent the need for a harsh one later. Sorry I’m just responding. How did the ACV rinse work out? I’d really love it if you could help me out..
My hair used to be really soft and shiny and it was great but then I decided to use coconut oil on it..big mistake.This was 5 months ago and ever since then my hair is rough,tangles a lot (even after brushing it,it feels like I haven’t brushed at all),it falls out A LOT(never used to much before) and I have these random short hairs sticking out on the top of my head which I never had before. I need advice! I can’t seem to determine if my hair is just worn out from over-processing or if I have build-up. Many of the ‘symptoms’ are the same, dry or brittle hair, tangles badly, lack of shine/luster. I do color my hair about 4 times per year. Usually I go darker than my roots (which I’ve been told adds shine and color–and It does. I did hi-light my hair in January and again in March. After washing my hair, the top looks like a rats nest–no matter how much deep conditioner I use, or how long I leave it on. I can’t get my fingers or a brush through it without using lots of leave in conditioner. I tried a 30-min Olive Oil treatment three nights ago — and last night I still had a rats nest after washing it. Help! I don’t know how to make it manageable again? Clarify? or Condition? Hello Angela. I think that it probably has to do with the fact that you color your hair. These signs that you’re describing point towards that. Have you tried to use henna instead? Henna adds shine and strengthens hair at the same time. If you don’t want the reddish color that henna imparts but just the shine, you can only leave it on for an hour. I have never tied henna, and don’t care for the orange-red color. I didn’t realize you could use it for a shorter amount of time and not get the coloring effects–I will research that. I will try the Joico product you suggest, thank you! Reading this has been very interesting. I and 45 and my daughter is 17. A month or so ago we both experienced ‘product build up’ for the first time…ever. In 45 years I have never known this condition and for it to suddenly happen at the same time as my daughter is something very weird. To a lesser extent, my husband also said his hair wasn’t feeling as good as normal after washing but he seems ok now – without doing anything different. After doing some research, I bought a good clarifying shampoo (Osmo Effects Detoxify Shampoo) and that seemed to work. However, after only a couple of washes with our normal shampoos again, my daughter’s hair started feeling ‘sticky’ again – mine took a few more washes, but also feels ‘sticky’ again now. She uses only a few hair products, and I use nothing other than shampoo so I’m confused by this ‘product build up’ explanation when I’m not using any! I’m nervous about the frequent use of the clarifying shampoo and whether that does damage over time if we use it for every wash….is this a danger? Also, I’m going to try a different regular shampoo and see if that helps – what should I be looking for? I have some Forever Living Aloe-Jojoba shampoo – I actually bought it to use for the dog as he had dry, itchy skin in the summer and my Forever Living agent said it was a product that was perfect for both human and pet use. Maybe I’ll give that a go. However, I am confused as to why I would suddenly start having this problem for the first time in 45 years when I’m not doing anything different. Is there any way that external forces could have something to do with this, i.e. something different in the water perhaps, or some new ingredient that is being added to all regular shampoos? Is this even possible? I’m very confused as to why this should suddenly start happening to myself and my daughter and would welcome any thoughts. Hi Catherine. Does your husband also use the same shampoo with you and your daughter? I am thinking it might be the water you are using. Try buying a shower filter and see if it makes a difference. Regular use of clarifying shampoos can dry out the hair. When I used to live in a place with ‘bad’ water, I was using a sulfate-free swimmers shampoo called ION SWIMMERS SHAMPOO. That could be an alternative. It is possible that a new ingredient could have been added to your regular shampoo or other hair priducts. Try comparing if you can. Forever Living has good priducts. You could give the jojoba shampoo a shot too. Well, that’s the thing, all three of us use different shampoos. That’s what made me start thinking it was either something external, like the water – we are in a very hard water area just north of London so we’ve been using a water softener on the mains water that comes into the house….I wonder if there might be an issue there, perhaps. I’ll also look at the possibility of a shower filter to see if that helps. Re. any additional or change in ingredients that may have occurred in regular shampoos. I’ll start checking out the labels to see if there’s any clues there. I’ll try the Forever Living Jojoba alternative in the mean time and also look at sulphate-free shampoos as well….and possibly get some ACVinegar as well! Thanks for the tips – I’m determined to come at this from all angles! You’re welcome. Do keep me posted. Hi Amisha. You can simply try using a clarifying shampoo. VO5 has a good clarifying shampoo I think. I have thin black curly hair and live in Australia. I’ve had silicone buildup for 3 years now and wondering how to get rid of it for good. It started when I was 14, I kept straighten my hair without protection (I was dumb and didn’t like my curly hair) and now I’m 17, I regret doing that everyday. My hair was completely damaged after all the straighten, so I got the keratin treatment done. I didn’t like the treatment as it made my hair go greasy and oily. 3 months later, the lady added moroccan oil to my hair (very high in silicone) and now my hair is covered with it still. I wash my hair with a silicone free shampoo and have tried everyone one available in the shops. To have proof of my hair, I can’t straighten my hair because there is something suffocated/covering it. 2) my hair looks like I have oil/product in my hair when I don’t. I just went to get rid of the buildup because i just want normal hair. None one understands what is happening and if I tell them, they may think I’m crazy. I want to speak to a hairdresser or person who has knowledge in this. I’ve read every article about silicone buildup and that its prone to black curly hair. Since my hair was so dry, it could of locked in the silicone? I don’t know I’m not a professional, but I do know that silicone is hard to remove if treatment has been done? Do you have any recommendations? Who should I go to fix this issue. Please I’m begging. I appreciate it a lot. Just stumbled across this article and was wondering if product build up could be my problem. Okay so 8 months ago I had to temporarily lived elsewhere during the week due to a job. Up until this point my hair had been really healthy. Anyway the water in that location was awful and had a bad effect on my hair so I’d only wash my hair once a week when I got home. I had previously washed it twice a week. As expected my hair did get greasy but I decided I would rather it be greasy then have the horrible feel of created by the water so I continued with the weekly wash. However recently I have noticed some of the things you mentioned happening to my hair. It would dry really quickly after a shower and then it would feel dry and have a waxy coating. I don’t use any product on my hair except shampoo and a very rare condition so I do ‘t know how I could have gotten product build up? Maybe the water could have caused a calcium build-up. I’m not so sure but but a chelating shampoo might be able to help. I don’t see a difference in ingredients between clarifying shampoos and regular shampoos by the way.Some even cause buildup, like the first one that has silicones in it! I do agree that there is really no difference except for the name ‘Clarifying’! And it’s also true that the ones that contain silicone can actually worsen buildup.